Explore the pages within the website and you will find resources for parents/caregivers to find childcare/preschools, activity guides for fun things to do with your child, and much more. 90% of all children ready for Kindergarten by 2020! 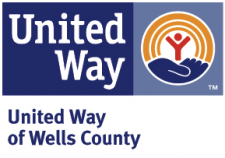 In 2013, United Way of Wells County began the process of determining unaddressed needs in Wells County. At that time, it was decided to focus on early childhood/preschool and preparing children for kindergarten and life. In 2015 an assessment was conducted at kindergarten screenings at all the Wells County schools and 59% of all children were considered fully ready to start school. We need to move that number up – and we can by talking to our children, reading to our children and having them participate in fun activities that will help them with their letter recognition and developmental skills. We are concerned with the whole child. We want to educate parents, grandparents, aunts, uncles and neighbors about all the ways of preparing children – including talking to children from birth and reading to them daily. United Way is actively collaborating with the schools and preschools to advance the awareness of parents and preparing ALL children for kindergarten. 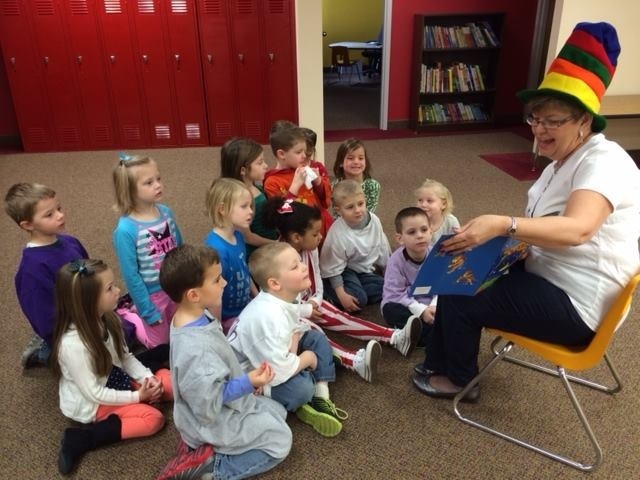 Children love to have books read to them! Imagination Library because we know the value of having books available for all children from birth. Kindergarten Countdown because we see the benefits of an extra boost for children prior to starting kindergarten. Quarterly Parent Activity guides to give all parents no and low-cost activities to engage their infants and toddlers. Getting Ready for Kindergarten Calendar for the extra activities for parents and their preschoolers in the year prior to kindergarten. Born Learning Academy at the Bluffton Alternative School, a parenting class for young parents. Our goal at United Way of Wells County is to have 90% of all children ready to enter kindergarten by 2020. But we need YOUR help. Read to children in the schools/preschools, at the library and at home. Volunteer at the schools. Give of your time to mentor a child. Support the Early Childhood Initiative with your financial gift. Join Women United to advance the Early Childhood Initiative programming.